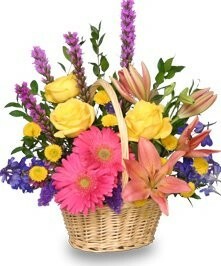 At All A Bloom Florist & Gifts, we deliver the freshest flowers and brightest smiles! All A Bloom Florist & Gifts is your friendly, neighborhood florist, proudly serving Mobile, Alabama and surrounding areas with many years of floral design experience. Our highly-trained staff is ready to assist you with placing orders for local delivery or anywhere in the world. Not sure what to send? We'll gladly help you with creative suggestions! Whatever the occasion, let our talented designers create your fabulous floral arrangements. Choose from several traditional and contemporary floral design styles that are perfect for everyday... birthdays, get well, anniversaries or "just because!" All A Bloom is conveniently located at 6677 Three Notch Road Suite A in Mobile, near Mobile Memorial Gardens Funeral Home and Serenity Funeral Home. Our shop is OPEN to serve your floral and gift giving needs: MON - FRI 8:30 to 5:30, SAT 9:00 to 3:00, and SUN closed. Convenient daily delivery service to all local hospitals and funeral homes. 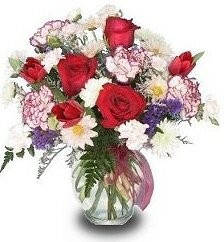 You can always depend on All A Bloom Florist & Gifts when you need to send funeral flowers. Ask our staff about customizing your sympathy floral tribute for a special friend or loved one. We also have silk cemetery arrangements as well. What about wedding flowers and special events? Call us in advance to set up an appointment with one of our floral professionals. We also have a variety of wedding rentals available. Browse our assortment of green plants and blooming plants for a wonderful gift that brings life to any room or office. Consider sending a fruit basket or gourmet basket from All A Bloom Florist & Gifts – a fantastic gift idea anytime of year. Don’t forget our vast selection of gifts, such as plush stuffed animals, scented candles, collectibles, high-style silk arrangements for the home and more.